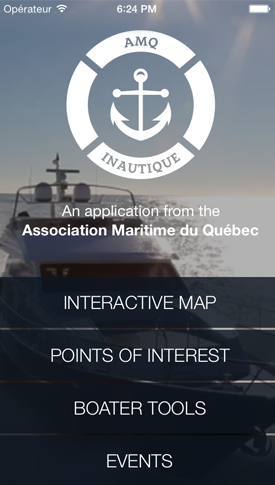 The Quebec Marine Association is proud to introduce you to Inautique. 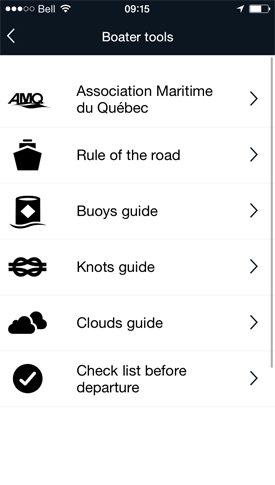 Designed with the Quebec IT firm Appcom, Inautique is designed to give you useful information about boating in Quebec. Totally free of charge, Inautique was conceived as a new boating tool. 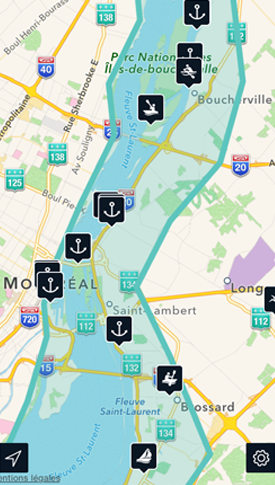 With its powerful geolocating system, Inautique allows you to find all the marinas, harbors and boating schools throughout the province anywhere and everywhere. Inautique is delivered with a user-friendly layout from which you have access to many boating and sailing tools, all the nautical events and finally the available discounts from your favourite dealers. Now, the waterways won't hold any secrets from you! 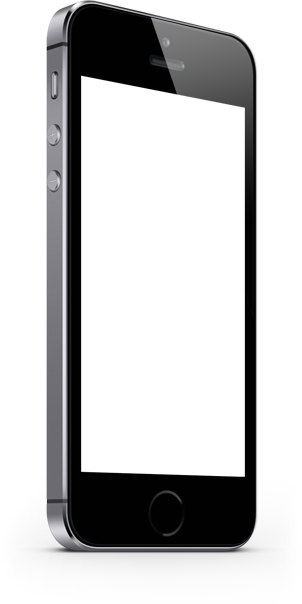 Want this awesome application? Get it right now! Please help us improve our application by sending us comments about your experience. Visit the websites of the Quebec Maritime Association. Quebec Maritime Association © 2017. All rights reserved. Check out our interactive map to geolocate near you marinas, retailers, boating schools, boat ramps or moorings. Get notified about the upcoming nautical and boating events! 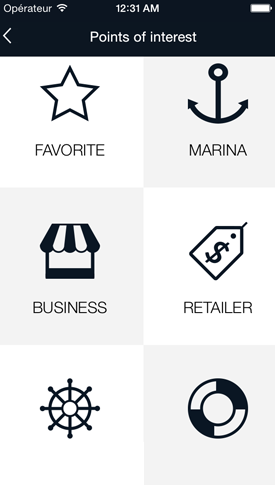 Geolocate hundreds of Points of Interest around you! Enjoy the many tools developed to facilitate your navigation.